There's still time to book an Easter getaway in Yorkshire. View our available cottages today. Take a look! After last year's scorching summer, you'll have to act quick to reserve your favourite cottage! Take a look! May Half-Term is just around the corner and now is the time to book! Book now for quality time together. Take a look! Cottages with the wow factor! Book your next break and choose from a selection of the finest cottages in Yorkshire. Take a look! Get on your bike and get to Yorkshire! View all our cottages along the route. Take a look! Find out how you can join Yorkshire's leading independent lettings agency today. Book before 19th April using promocode FREEEASTER to enter our prize draw! T&Cs apply. Relax in luxury...choose from over 100 4* and 5* quality cottages in Yorkshire. Welcome to Ingrid Flute’s Yorkshire Holiday Cottages website, offering you a superb choice of holiday homes in Yorkshire, and Teesdale & the Durham Dales. 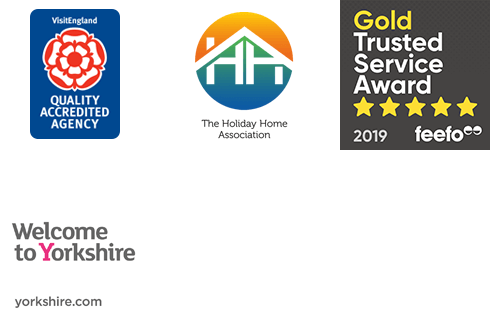 We have been providing visitors with holiday accommodation and a high level of customer service since 1970, making us one of the countries longest established self-catering agencies, and Yorkshire’s largest independent, family-owned agency. If you would like to touring holiday around Yorkshire, the Vale of York is an excellent base. Here you can easily reach the coast, moors, dales and the historic city of York, with its many attractions which include York Minster, the Jorvik Viking centre and the National Railway Museum. For those who prefer to escape from the crowds, Teesdale and the Durham Dales offer the perfect destination. With a contrasting landscape of rivers and dales giving way to the rugged peaks of the Pennines, this is a stunning location for those who enjoy being in the great outdoors as well as those who want to see Yorkshire, County Durham and Cumbria. Our properties are located in and around the two main market towns; Barnard Castle, where you can visit the medieval castle and the Bowes Museum, and Middleton-in-Teesdale, which lies in the North Pennines Area of Outstanding Natural Beauty. All of our properties are individually visited by a member of our team and assessed to ensure that they meet a standard which you would expect. In addition, many properties are graded as part of the Visit England Quality Assurance Scheme, and these will display a star rating as part of the description. If you would like any further information, or have particular requirements, please do get in touch. Our customer focussed team have a wealth of knowledge about all our properties and locations. Everyone lives locally to where they work (either the Whitby office on the coast or the Leyburn office in the Yorkshire Dales) so you can be sure that you get advice from the local experts. "You cannot pick better accommodation. Clean, tidy and with all mod cons 10/10. The staff at Ingrid Flute have been excellent in their help and I have already had a friend of mine book their holiday with Ingrid Flute on my recommendation." "First time booking with Ingrid Flute's and we are very pleased with the experience - will definitely consider booking with you again." "Have been a satisfied customer for some years with Ingrid Flute but this apartment was one of the best we have stayed in. Views on a cold winter's day spectacular and level of comfort very high indeed. Perfect." "I am very impressed with the staff at Yorkshire Holiday Cottages: their pleasant, proactive attitude and focus on doing all they can to bring in new holiday tenants is exactly what I need as a cottage owner and client."